Buy Shishido Creative a Coffee. ko-fi.com/shishidocreative - Ko-fi ❤️ Where creators get paid by fans, with a 'Buy Me a Coffee' button. We are an international couple that makes enamel pins, stickers, and more in the future. By supporting our creativity, we can spend more time working on bringing more creations to life! Secured Payments. 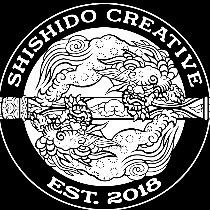 Support goes to Shishido Creative's account. Upgrade Shishido Creative to a yearly Gold Membership with a one-time payment.